Guests of Canadian embassy in China were treated with a wonderful evening of Canadian food and drinks last weekend. 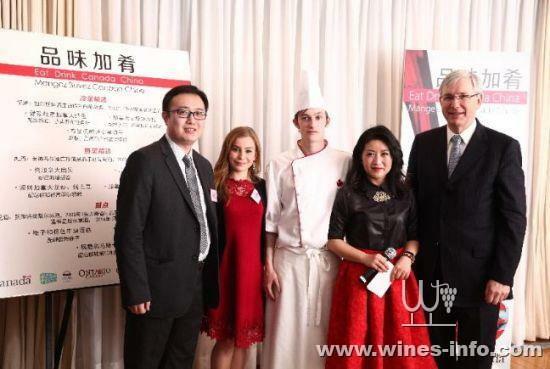 Ambassador Guy Saint-Jacques and chefs of the embassy brought their best food and wine at the ‘Eat Drink Canada China’. The wines were introduced by sommelier with tips of which dish to match.